Do you procrastinate on fixing your procrastination? The WORST mistake you can make in college is not developing a plan to stop your procrastination before the semester starts. One of my most popular posts ever features 10 ways to stop procrastination, and I wanted to add another way you can stop it - BEFORE the semester starts. Not only will this help you not procrastinate, but it can also help you improve your grades IMMENSELY. 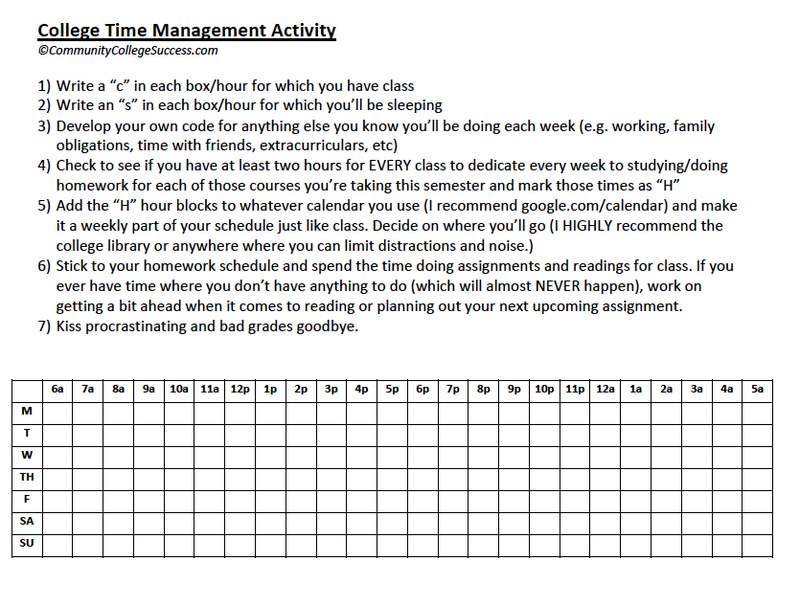 I've developed this really simple time management chart for you that you can download and do in a few minutes RIGHT now (see links below). I know you want to procrastinate this right? You're already opening a new window and thinking "well, Isa, that sounds good and all, but I'll do it tomorrow, right now I need to catch up on my Twitter feed"). Hold it right there. You can do this right now. I believe in you!! Tell that procrastinator in your brain to be quiet and keep scrolling. I can't take all the credit for this idea as I got the inspiration for it in a book I was reading this morning about teaching a college course. I added my own spin to it and I hope it helps. Doing this chart will help you plan to have plenty of time to do homework, readings, and study for each course AND enough time to get ahead and put in the time and effort required to get an A in any class. 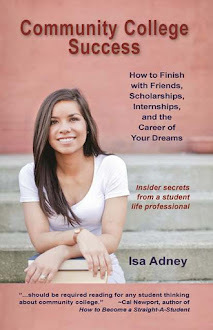 I spent at least two hours in the library for every course each week and it enabled me to get straight-A's throughout college without stress or procrastination. I also almost never did homework on the weekends, which may not work for everyone, but I loved devoting Monday-Friday to school and then the weekends to pure fun. If you put the time and effort into building your schedule the way you want it (and make the necessary sacrifices to make your classes and the work required of them a priority, even over work) you can get the grades you know you're capable of and actually enjoy the learning process. You may feel like you need the last-minute pressure to do your work, but once you experience the thrill of doing something EARLY you may just find that can motivate you even more. Click on one of the links below to download the chart to help you build your schedule and find the time you need to reach your full potential in college. I've made the documents available on Dropbox for you and the links are below. To fill it in on your computer download the .doc here on Dropbox. To print it out and fill it out with pen/pencil download the .pdf here on Dropbox. I challenge you to do this right now. Go. Come on. You can conquer procrastination once and for all. Your GPA will thank you.